Backlinks, also known as incoming links, inbound links, inlinks, and inward links, are incoming links to a website or web page. In basic link terminology, a backlink is any link received by a web node (web page, directory, website, or top level domain) from another web node. 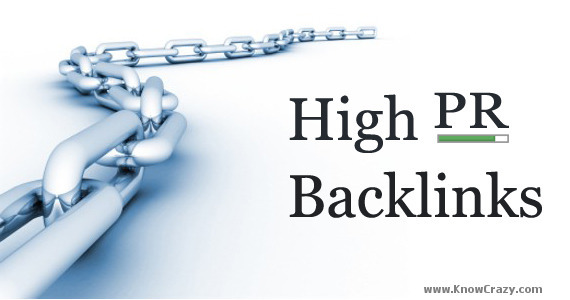 Backlinks enable you to keep track of other pages on the web that link to your posts. For instance, suppose Alice writes a blog entry that Bob finds interesting. Bob then goes to his own blog and writes a post of his own about it, linking back to Alice's original post. Now Alice's post will automatically show that Bob has linked to it, and it will provide a short snippet of his text and a link to his post. What it all works out to is a way of expanding the comment feature such that related discussions on other sites can be included along with the regular comments on a post. Building quality backlinks is extremely important to Search Engine Optimization, and because of their importance, it should be very high on your priority list in your SEO efforts. We hope you have a better understanding of why you need good quality inbound links to your site, and have a handle on a few helpful tools to gain those links.